You’re sure to swoon for this easy keshi yena recipe, a traditional Dutch Caribbean dish featuring melted Edam cheese and spiced meat. Popular in Aruba and Curacao, it makes a deliciously satisfying main course for company or a weekday meal. 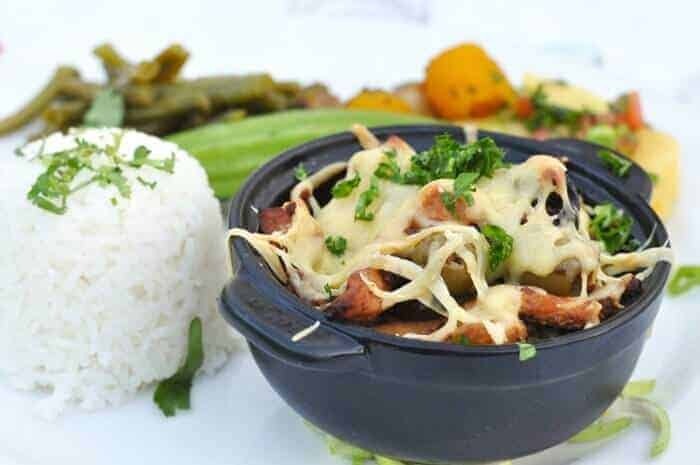 I first tried this popular casserole featuring spiced meat and melted Edam cheese at Aruba Ocean Villas in Savaneta, Aruba where it was served in individual baking dishes and we dined at sunset overlooking the water. Much like other delicious local food in Aruba, keshi yena offers a taste of history and culture in every bite. Many people consider it to be Aruba’s national dish! One of Aruba’s best pastry chefs, Chef Annelotte Ellis is recognized throughout the Caribbean for her artistry and creative use of local ingredients so I was lucky to have the opportunity to try her variation on this classic Aruban dish. We also got to try keshi yena pizza but that’s a recipe for another post. 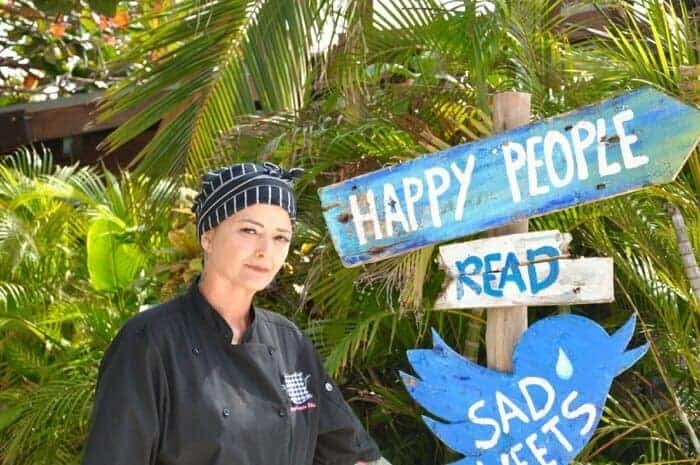 Although Chef Annelotte Ellis has embarked on new culinary adventures, it’s still possible for hotel guests to enjoy keshi yena at Aruba Ocean Villas. 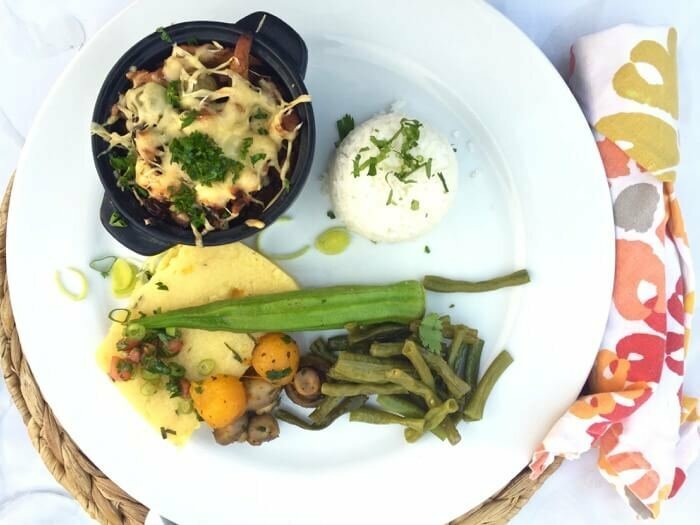 You can also try keshi yena and other typical Aruban dishes at Papiamento restaurant, a historic country home that’s been converted to a fine-dining restaurant. Read 19 Must-Try Traditional Dishes in Aruba and Where to Find Them for details. In many ways, keshi yena reminds me of picadillo, the traditional hash made with ground pork, ground beef, chicken (or all three) that’s popular throughout Cuba, Latin America, Mexico and Spain. Keshi Yena recipes vary from country to country (and each cook’s kitchen) but picadillo gets its signature layers of flavour from the salty-sweet mix of olives, capers and raisins. 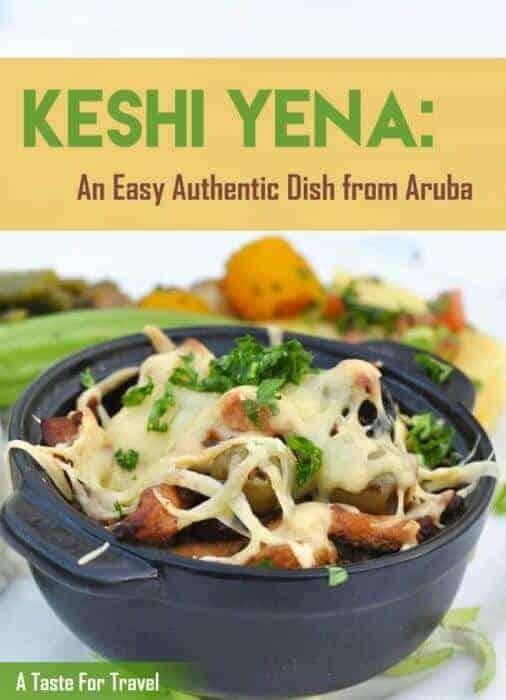 With its spicy-sweetness and melted cheese, Keshi Yena reflects the culinary influences of Aruba’s diverse population – a fascinating mix drawn from the Caribbean, South America, Africa, India, Asia, the Netherlands and other European countries. You can find a similar stuffed cheese dish throughout Europe, Asia and the Caribbean, a legacy of the period when Edam cheese was the world’s most popular cheese. During the 14th and 18th centuries, due to its durability in transportation by sea, Edam cheese made its way to remote Dutch colonies where it joined the culinary traditions in several countries. Today, appears as queso de bola or queso relleno in the Yucatan of Mexico and in Spain. In the Philippines, queso de bola is popular during Christmas festivities, especially on NocheBuena, the evening Christmas Eve feast. Like many other traditional dishes, keshi yena has humble beginnings. It was originally designed as an inventive way to use leftover scraps from the kitchen, most notably the rind of a round of Edam cheese. Leftover meat was seasoned, spooned into the empty cheese rind and then baked or steamed, resulting in a round of slightly nutty, melted Edam cheese stuffed with piping hot spicy meat. All of which makes it a real crowd-pleaser and a dish you must try on a visit to Aruba. If you’re craving keshi yena but don’t have a rind of Edam handy it can be made by lining the sides and bottom of a baking dish with thin slices of Edam. Or, for a low calorie version, just mix generous helpings of grated Edam into the spiced meat mixture. 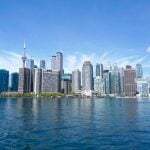 When the weather is chilly in Canada and northern USA, it’s an ideal time to make this satisfying yet easy keshi yena recipe for your next party, pot-luck or get-together with friends. This is my interpretation of the Keshi Yena I enjoyed in Aruba. Note that it doesn’t contain eggs and is gluten-free. Serve it with toasted slices of French bread or cornbread. You can also make the Keshi Yena filling to use as a topping and serve it as a pizza topping! If you try this keshi yena recipe or any other recipe on the blog, please be sure to rate the recipe and let me know how the dish turns out in the comments below. I’d love to hear from you! 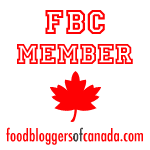 You can also follow me on FACEBOOK, TWITTER, INSTAGRAM and PINTEREST to see more delicious recipes from around the world. If using chicken, prepare it in advance by simmering in water (with salt, water, onion, parsley which is later discarded), allow it to cool, remove from the bones and then shred it. You can also bake the chicken pieces (sprinkled with salt, pepper and poultry seasoning) in a 350 oven for 45 minutes, allow it to cool, remove from the bones and then shred it. Brown the shredded chicken or ground beef ( or a combination of both) in a heavy frying pan. Grate the remaining 1/3 of the Edam cheese and add it to the meat and spice mixture. 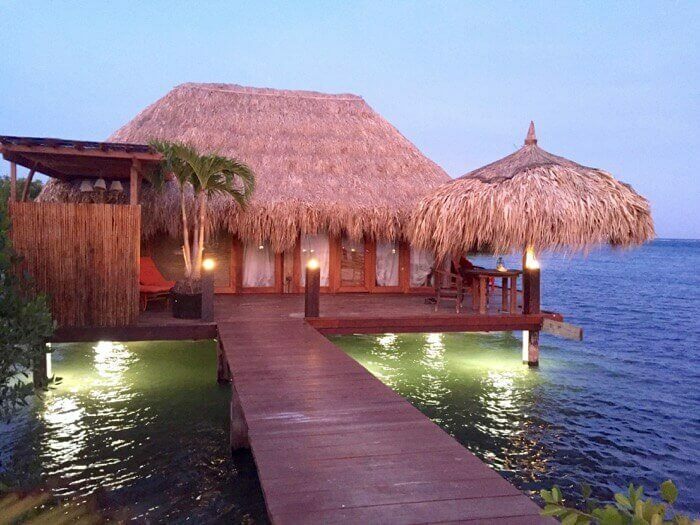 For the ultimate in Caribbean dining, there’s nothing quite as memorable as enjoying regional cuisine in in an overwater bungalow surrounded by the sea. Boutique-sized Aruba Ocean Villas Resort features six intimate villas, three perched over the Caribbean and three set directly on the private beach. Not only is an authentic Aruban breakfast included in each overnight stay at Aruba Ocean Villas but when you book on the website there is an option to book a 3, 4, or 5 course gourmet dinner with a private chef at your villa. And keshi yena should definitely on your wish-list to try. Aruba Tourism Authority: Get maps, travel advice and other valuable resources on the official Aruba Tourism Authority website. Interested in more delicious recipes, travel tips and information about travel to Aruba? 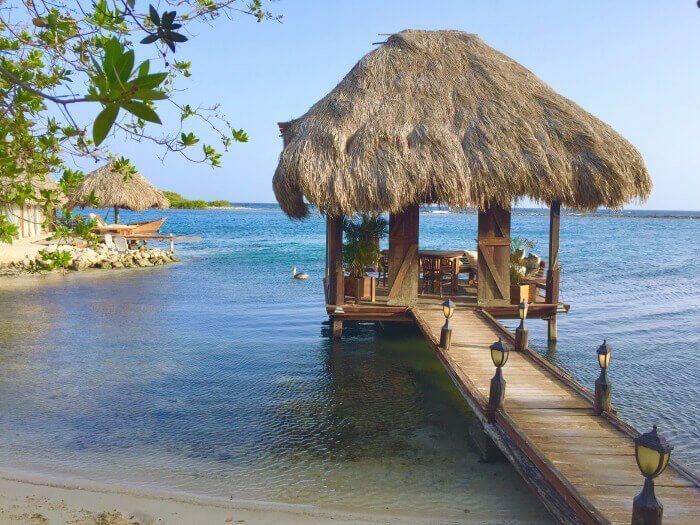 Zeerovers Aruba: A Seafood Restaurant You Don’t Want to Miss! Aruba is high on my list of Caribbean islands to visit since I haven’t yet stayed there…and have visited the other two “ABC” islands and loved both of them. I’m sure if I make it there I will try this dish! I love to try the local specialties. Keshi Yena looks like a wonderful dish – cold weather or warm weather in Aruba! Thanks for the recipe. Kenshi Yena looks yummy. I’d love to go to Aruba and have it there, but in the meantime I may just have to make for myself at home. You had me at capers, olives and Edam cheese! The plate prepared by Chef Ellis looks super appetizing, and both the dining cabana and Jojoli bungalow at Aruba Ocean Villas are like something out of a tropical fantasy! Will definitely try this recipe. Thanks for the recipe! Will definitely try this at home soon. I’ve made piccadillo before but this dish sounds a bit different. Will have to try it. I’ve never been to the island of Aruba. Sounds like a relaxing spot. That looks delicious! 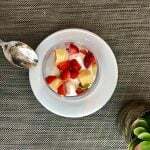 I’m looking for some great travel-themed meal ideas so I think I’ll try this in a few days! Sounds like a delicious dish. I love the mix of savory and sweet raisins. May have to ask for it without the cheese but drown it in the olive dressing for me! I too love holidays where you try and eat delicious foods! This is definitely a cultural spectacular. Well done for being inspired and following through, cheers! What a delicious sounding mix of ingredients! 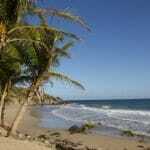 I’ve never been to Aruba or Curacao, so I’ll just have to taste the area for now!! It is a wonderful comfort food – I hope you enjoy it! 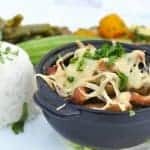 I would love to try this dish from Aruba! It sounds amazing! I love trying recipes from other countries! My fiance and I would love this! Will definitely need to make this in my home now that I finally have found a recipe for easy keshi yena, thanks! Looks so easy and delish!